The addition of a bifold door to your property will increase your living space and give you instant access to your patio and garden. It is also a space-saving addition to your house and will increase the amount of natural light coming into your home. No other type of door can give you the flexibility to open partially or allow a large expanse of wall open to the air. Camberley Glass and Windows is a local company which supplies and installs bifold doors as one of its products. We have been working in the Berkshire area for almost 50 years and are a trusted and well-respected company which has built a reputation of offering a good service to our customers. This is why much of our business comes from personal recommendation. 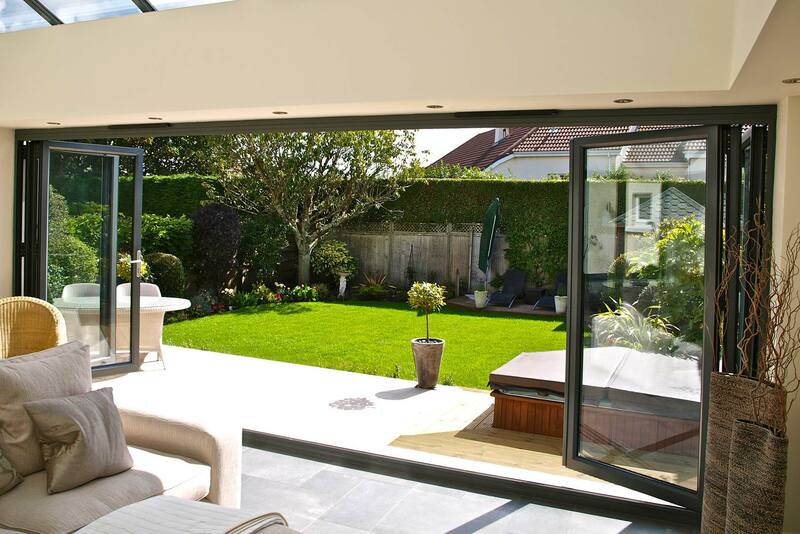 We stock an extensive range of bifold doors in different materials, colours and textures. All our doors are manufactured to exceed British Trading Standards which means that there will be minimal heat loss and maximum noise exclusion together with a high level of security. All our bifold doors are fully guaranteed. We would be pleased to give you advice about the choices available and which door would suit your needs. If you wish we could also do a survey, give you a quote and install the door too. Our professional installation team is fully-qualified and FENSA registered. If you would like to see what our customers think about our service please look at the testimonials on our website and also see our high ratings for the various criteria on Checkatrade. In addition we are an approved trader on the list of Buckinghamshire and Surrey Trading Standards Approved traders. Our showroom at our offices in Camberley, Surrey, has a wide range of bifold doors which you can browse and try. There are also brochures on various door manufacturers which you can take away. We look forward to seeing you for a friendly chat so that our staff can answer any questions you may have.